A boy runs to keep up with his Dad as they enter the Carrier Dome before a Big East Men’s Basketball game between Syracuse University and Villanova on Saturday, January 19, 2008. 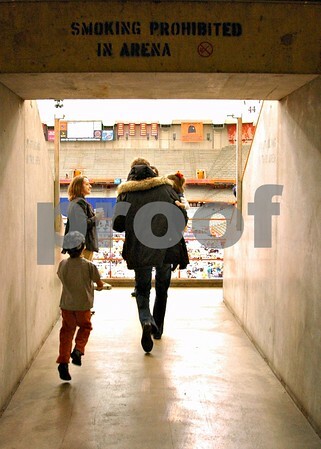 This entry was posted in People, Sports, Weekly View and tagged basketball, carrier dome, father, Photography, son. Bookmark the permalink.